Located at the Gateway to the Central Coast, the 78 room ibis budget Gosford features modern refurbished rooms redefining budget and comfort for the Central Coast whilst blending style with practicality. Our smart room design will make you feel welcome when travelling away for business, holidays or sporting events. The best experiences on the Central Coast are only a short distance away. Public transportation leaves from the entrance to the hotel. Filled with spectacular beaches, laid-back coastal towns and picturesque National Parks, the New South Wales Central Coast has plenty to see and do. With its convenient location, ibis budget Gosford offers the ideal base from which to explore it all! 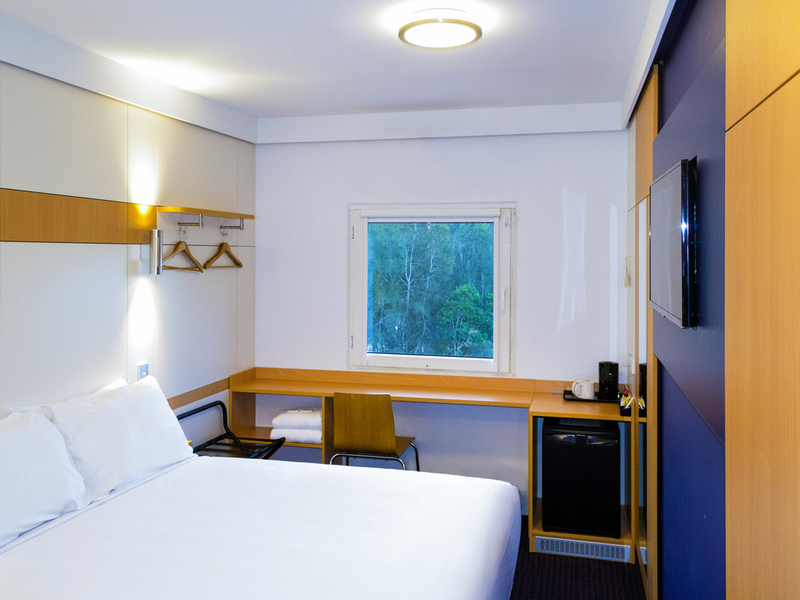 Featuring 79 fully air conditioned guest rooms, ibis budget Gosford provides an excellent base for visitors travelling to Gosford. Guest rooms at this affordable Central Coast hotel are available in a range of configurations, offering accommodation for up to two, three or four guests - making it the ideal choice for couples, families and groups of friends travelling together. Each guest room features a functional layout, comfortable bedding, a well-equipped private ensuite, Free Wi-Fi access and a TV.